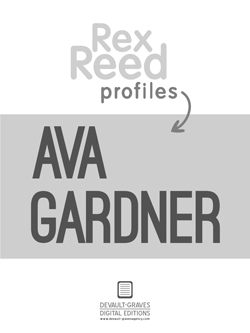 Devault-Graves Digital Editions has launched an ambitious series of Amazon Kindle singles by author Rex Reed, the Master of the Celebrity Profile. 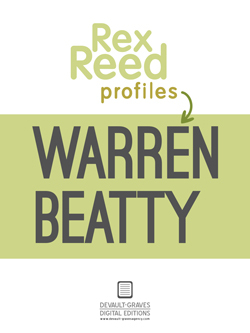 We have taken 20 of Reed's best profiles and made them available at the low cost of $0.99 each. Available exclusively on Amazon.com. The celebrities profiled are: Audrey Hepburn, Barbra Streisand, Buster Keaton, Jean Seberg, Marlene Dietrich, ﻿Robert Redford﻿, Jack Nicholson, Doris Day, Lucille Ball, William Holden, Carson McCullers, Tennessee Williams, Sophia Loren, Paul Newman, Warren Beatty, George C. Scott, Ingrid Bergman, Elizabeth Taylor, Ava Gardner, and Bette Davis. You owe it to yourself to read at least one of Reed's great profiles. No one did them better.